Hey there Classy lady, Wanna Present? 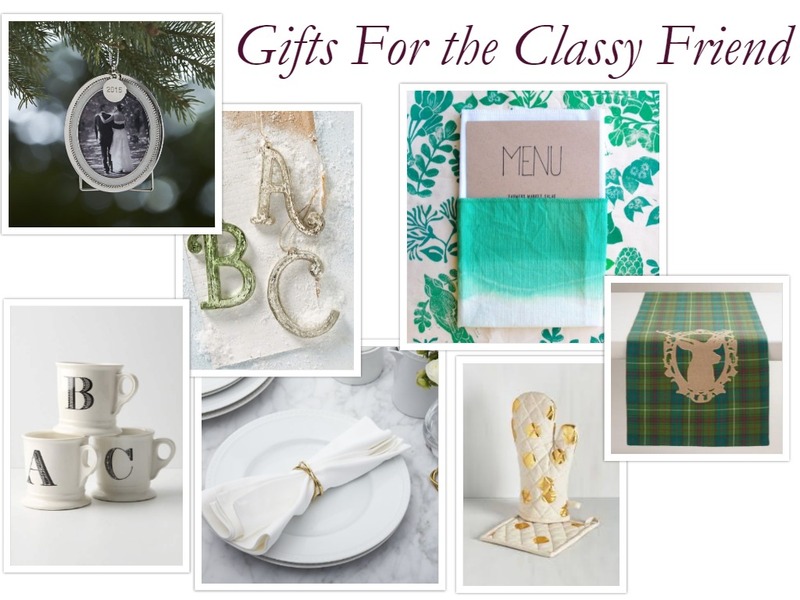 This gift list if your the utterly feminine friend. The one who has a dressing room, loves lace, pink, and gold. Merry Christmas, princess. 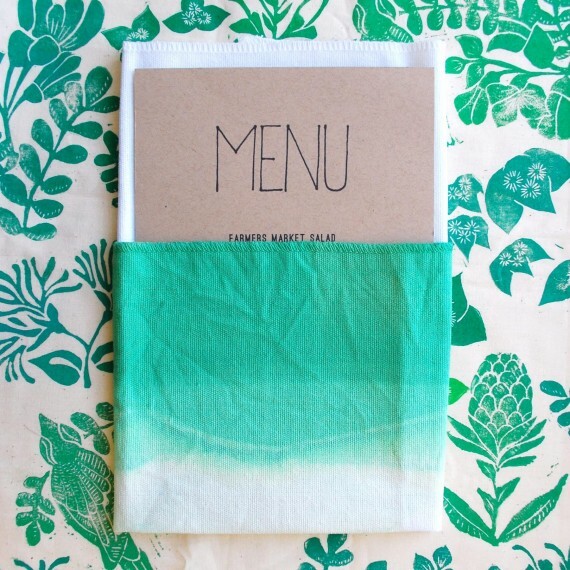 Dip Dyed Napkins. I think this would be a lovely gift for a friend who likes entertaining. It can be customized for their own home. Personally, I think a pale pink dip dye would be so pretty. The link will take you to Martha Stewart’s website, love her or hate, the woman runs an excellent site. Ribbon and Pearl necklace. This gift is super easy and affordable, which is wonderful when your friend tends to find herself/himself gravitating towards more expensive items. Plus, they will get to think of you every time they wear it to all the fabulous cocktail parties they go. Or while cleaning the house. Go June Cleaver all over the place with this necklace. 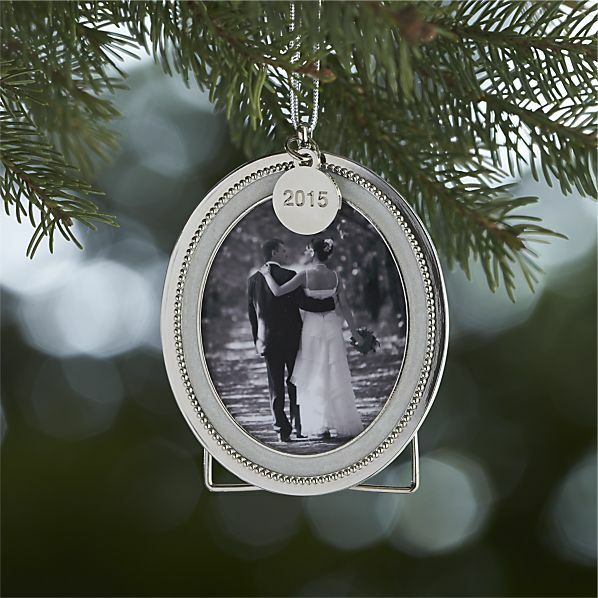 Silver Pearl Photo Frame Ornament with 2015 charm, Crate and Barrel, $7.95. Similar ones are found at Hobby Lobby. I always thing ornaments are a lovely gift, especially ones that are marked with the date. There is always room on the tree for one more ornament. Plus, if your friend decides that it is just too pretty to be put away, it can also be placed tabletop as a frame. 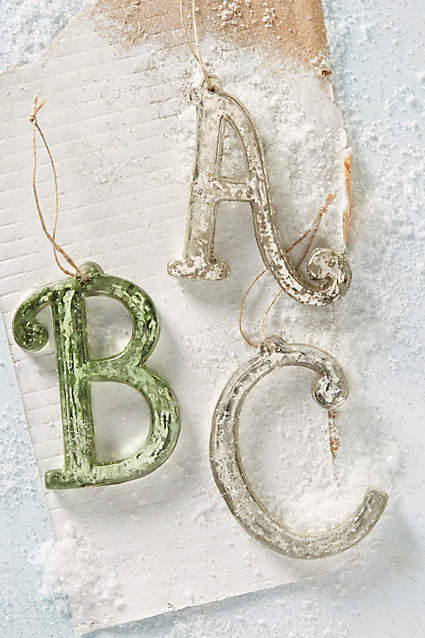 If that ornament doesn’t seem right, try this Mercury Glass monogram ornament from Anthropology, $8. 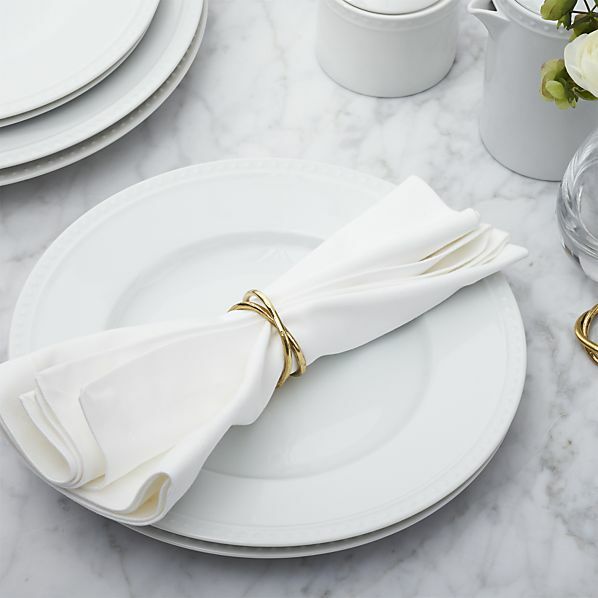 Aria Brass Napkin rings, Crate and Barrel, $2.95 each. Ok, so I love a beautiful set table. We use cloth napkins at every meal, but I don’t own a single napkin ring. I imagine a lot of people don’t, but they really do help a table look more put together. These are so simple that they shouldn’t go out of fashion quickly. Buy them in a set of 4, 6, or 8, pair them with a lovely package of cloth napkins and you have a gift for the perfect hostess. 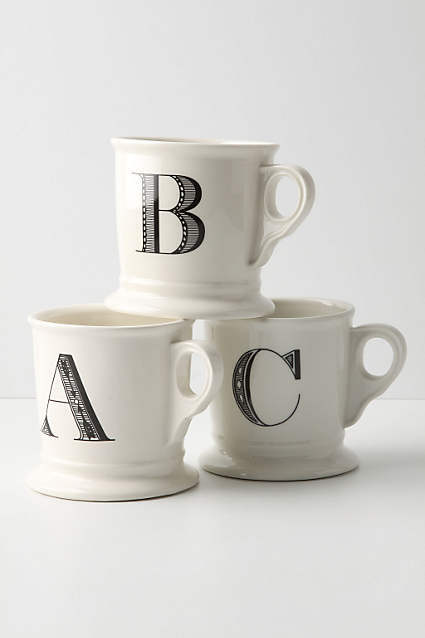 Anthropology monogrammed mugs, $8.00 I adore these mugs. Imagine a super cute couple gift with one mug for each person, then paired with a bag of coffee or a nice tea (ahem, Stash pumpkin spice, the tea of the pumpkin gods). Target Plaid and Gold French Press, $19.99. Know what is classy? Plaid. Know what makes plaid couture? Gold. This gift is a double win in that it will both provide a means to caffeinated oneself and is pretty. I firmly believe all useful things should also be beautiful. A table runner. But not just any table runner. This one from World Market for $19.99 that is both plaid AND has a burlap stag head on it. I am JCrew basic-ing all over the place on this one. Hopefully, your friend will too. 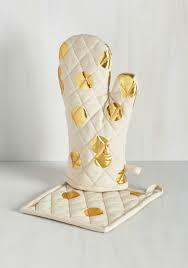 Pizzazz Good as Gold Pot Holder Set, Modcloth, $21.99. Not everyone likes cooking, but it is something we almost all have to do. Whether you like cooking or not, gold dots make everything a little better.